This service includes setting up and creating accounts on social media platforms of choice. It also includes creating posts for platforms (light graphic design work is done), scheduling posts and engaging/responding to inquires received on each platform. Once you purchase this service we will go over the strategies and discover which platforms are best for your business. 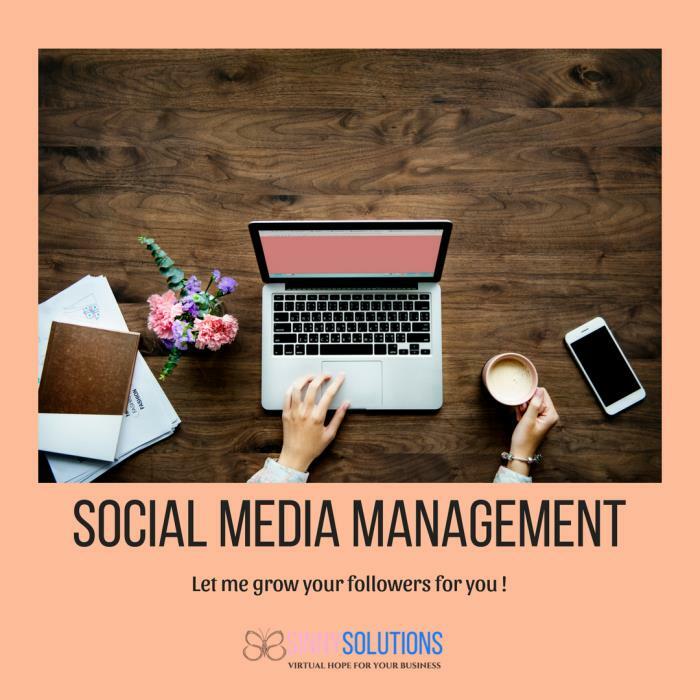 I will grow your presence online through social media and also boost certain posts to broaden your audiences awareness of your brand.This fee includes management on 2 platforms only on a monthly basis. $150 can be added for additional platforms thereafter (2+).